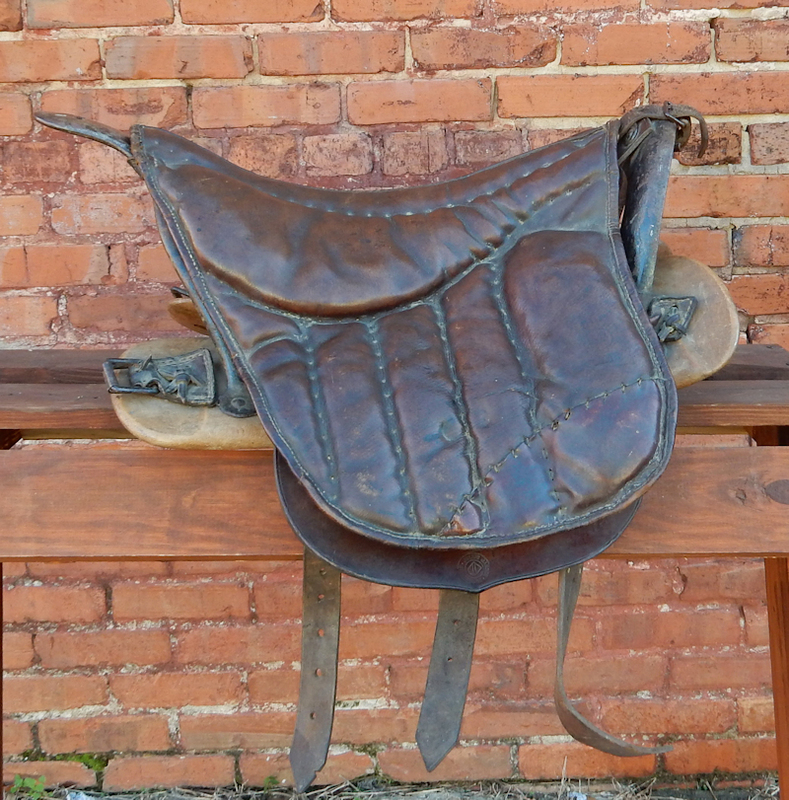 Below Left: German, Prussian Bochsattel 1873 Field Artillery Driver Saddle. 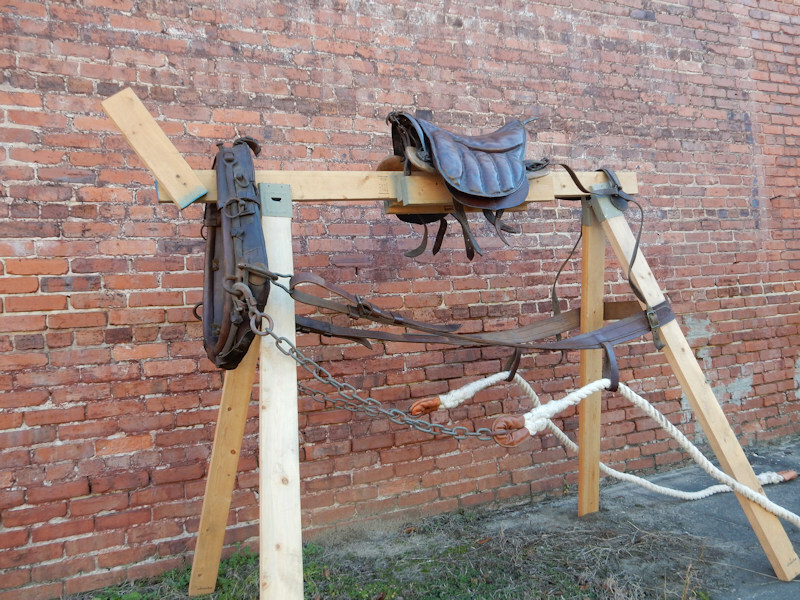 Below Right: The tree or frame for the saddle. 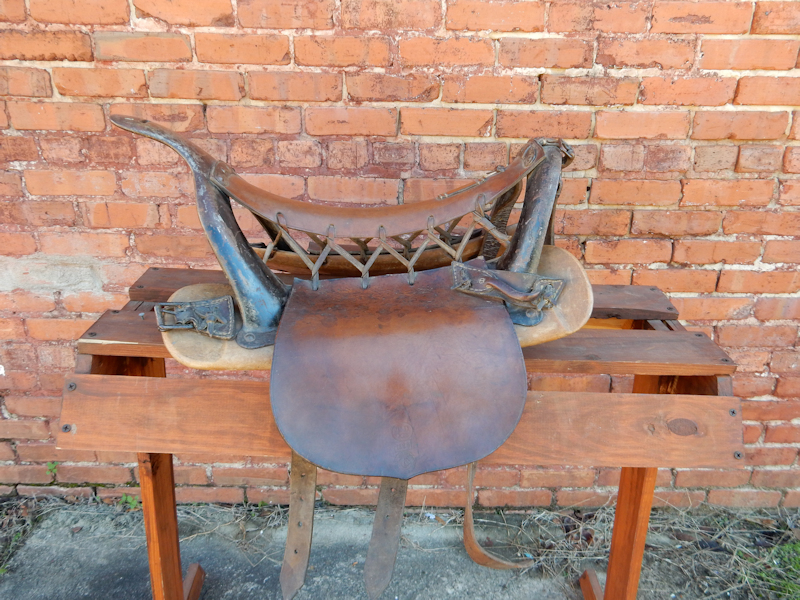 Notice the tongue at the rear of the saddle has been cut off. It appears that this was done some time ago also the metal parts of the tree are pained teal green. 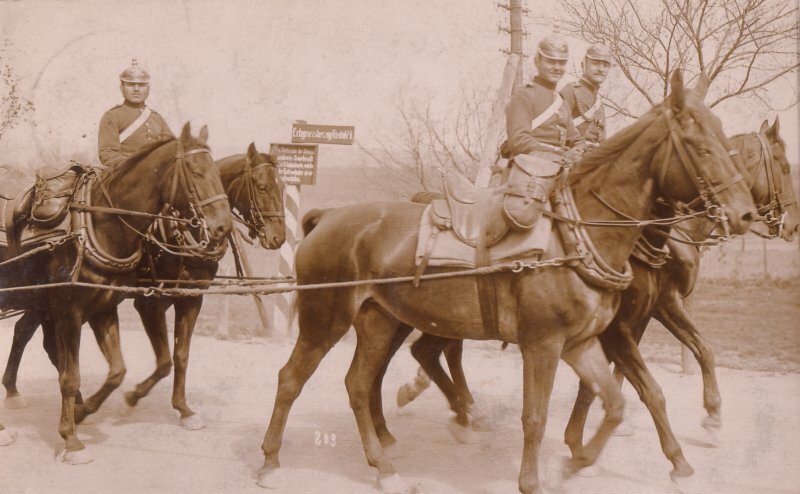 Although this is not a regular German Army paint color this was a common industrial paint color in the 1900s. 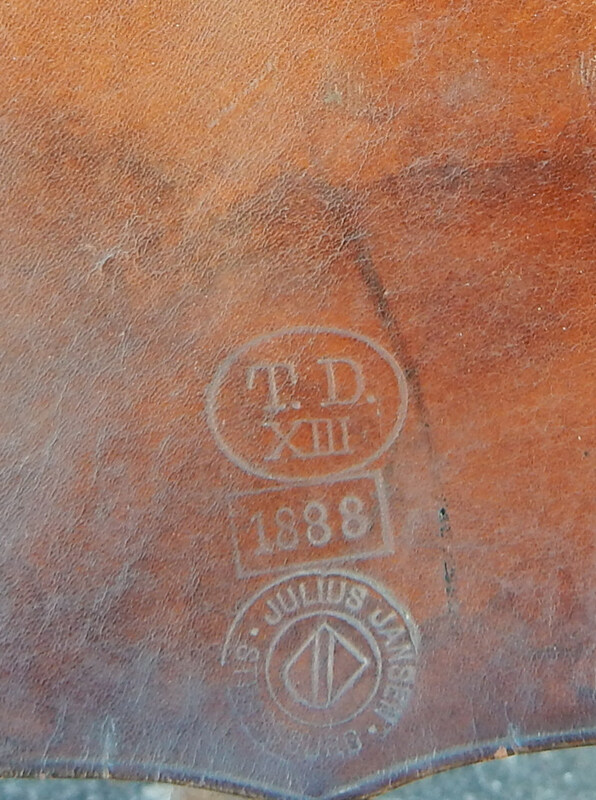 Below: Close up of the padding ( Sattelkissen ) for the Field Artillery Saddle. 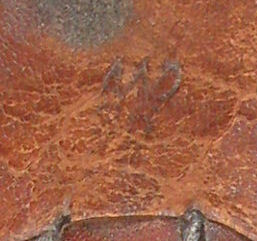 Below Left: Underside of the padding. 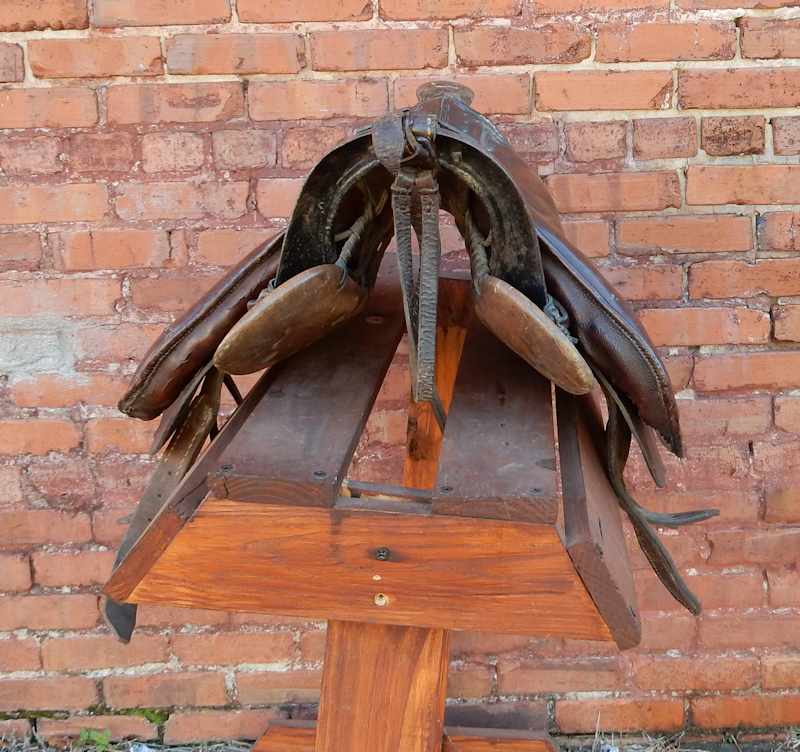 Below Right: Overview of the saddle tree. 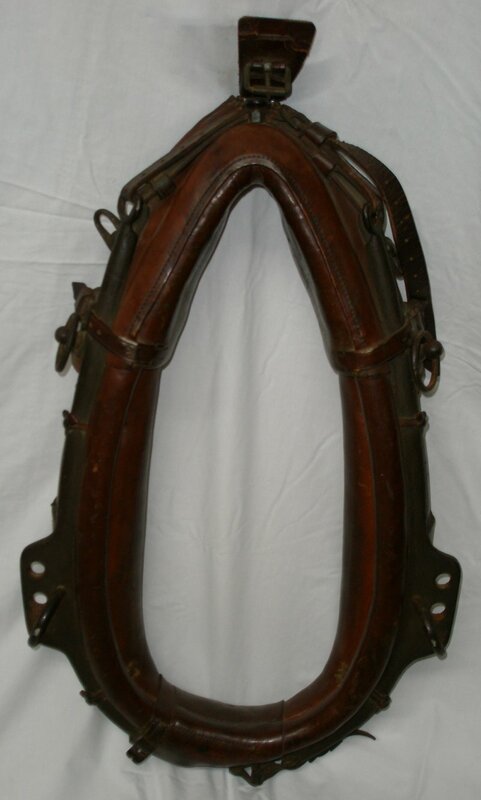 Below: Horseshoe pouch of the saddle ( Hufeisentasche ). Photograph Below. 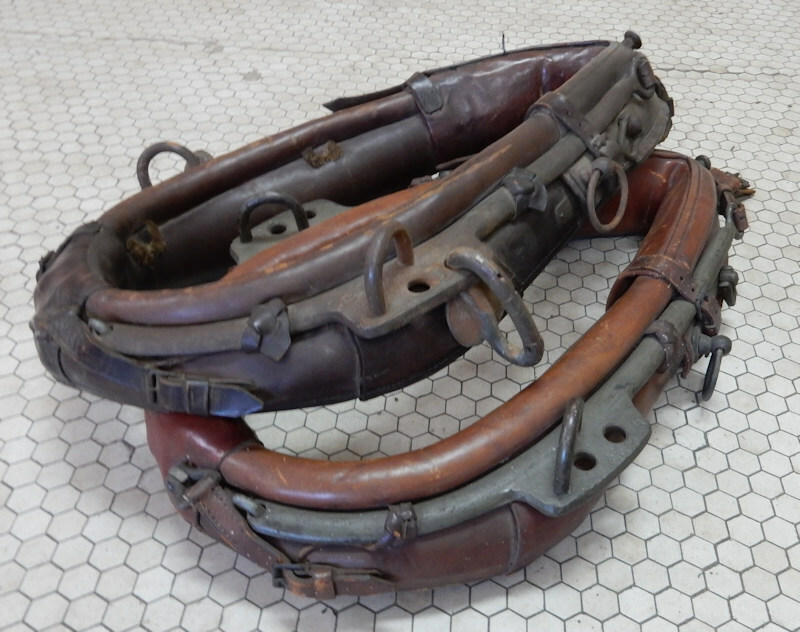 Close up of the most common German Field Artillery Horse Collar. 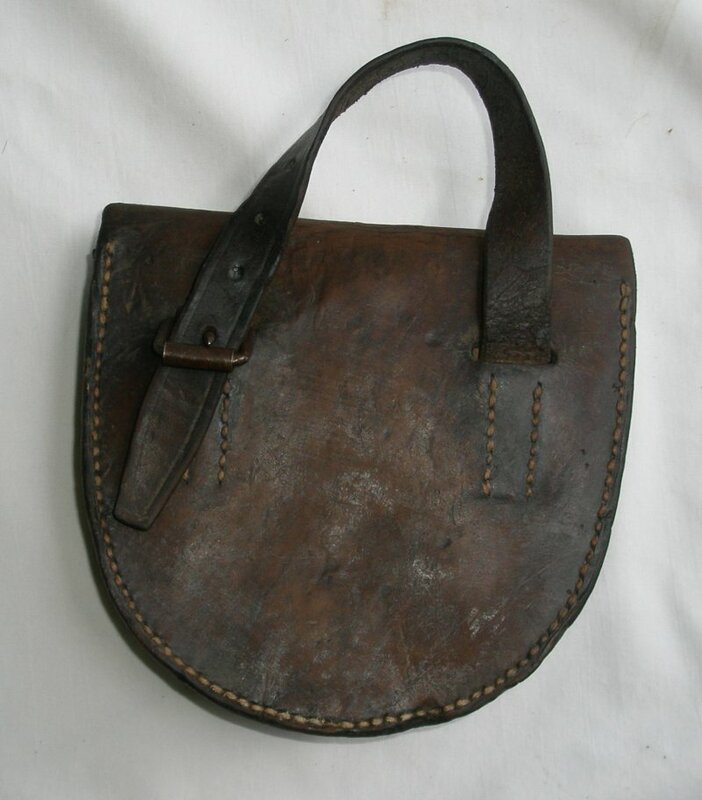 This example has a wartime date and manufacture’s mark. 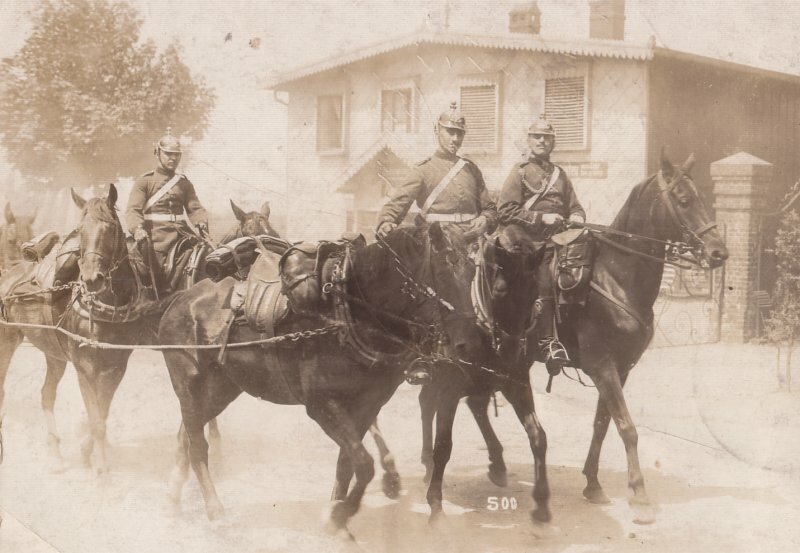 Below: The photograph below shows three variations of German Field Artillery Horse Harnesses. 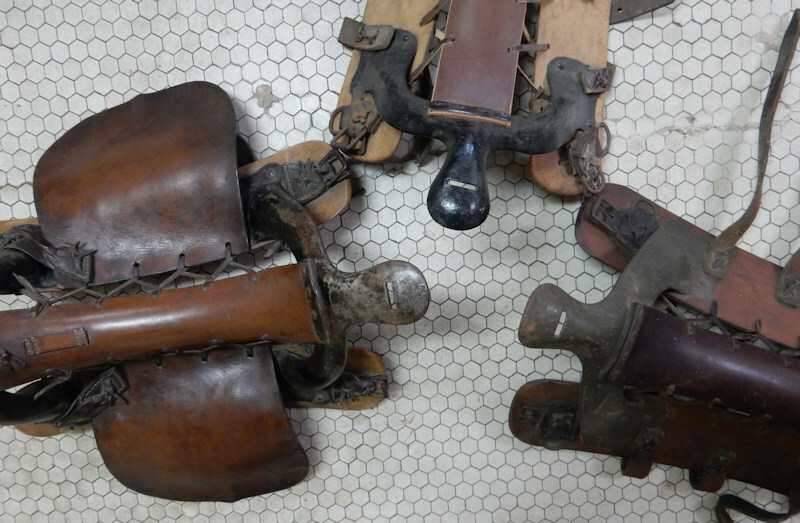 On the right is the Bavarian Pattern with metal and leather construction. Note that it does not have a hames. 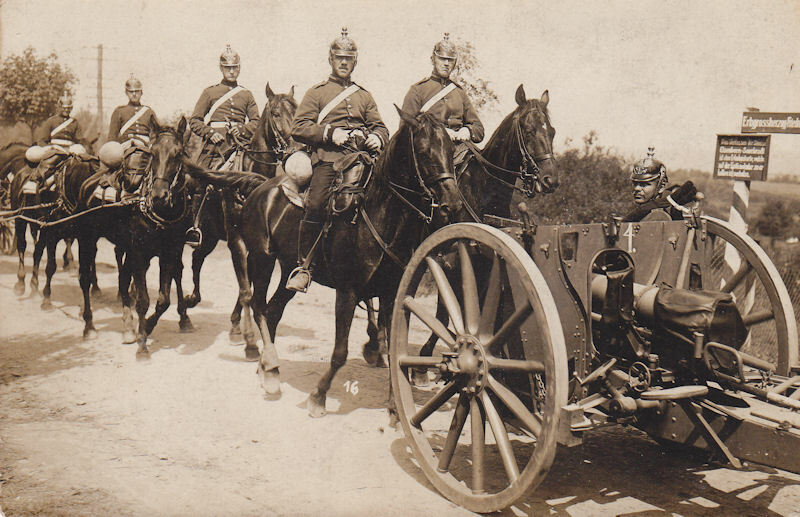 Center is what I believe to be an older variation of the Prussian Field Artillery Collar. 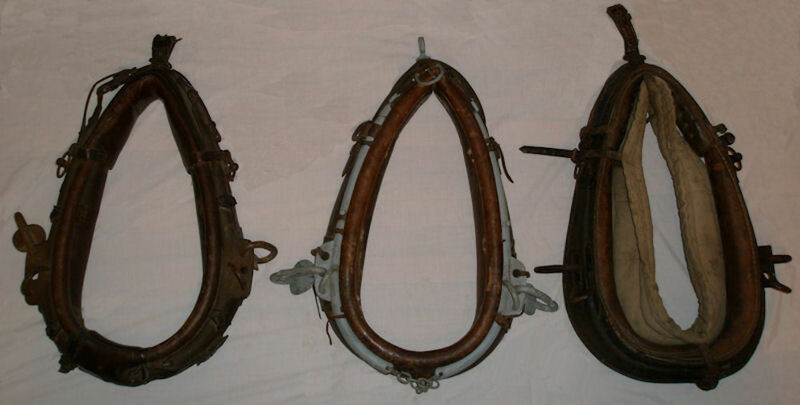 Left is the most common Prussian/German Field Artillery Horse Collar of these same type in the above photograph. Above & Below. 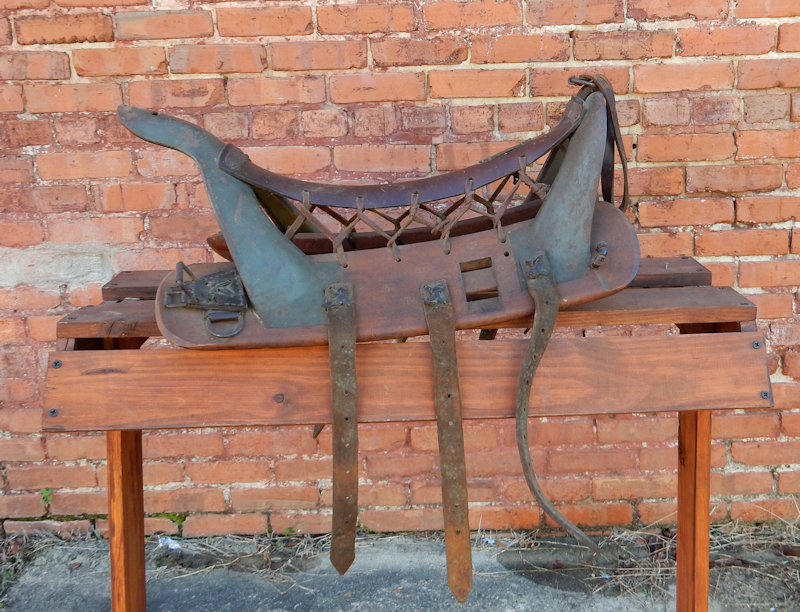 Valise Saddle for Field Artillery. 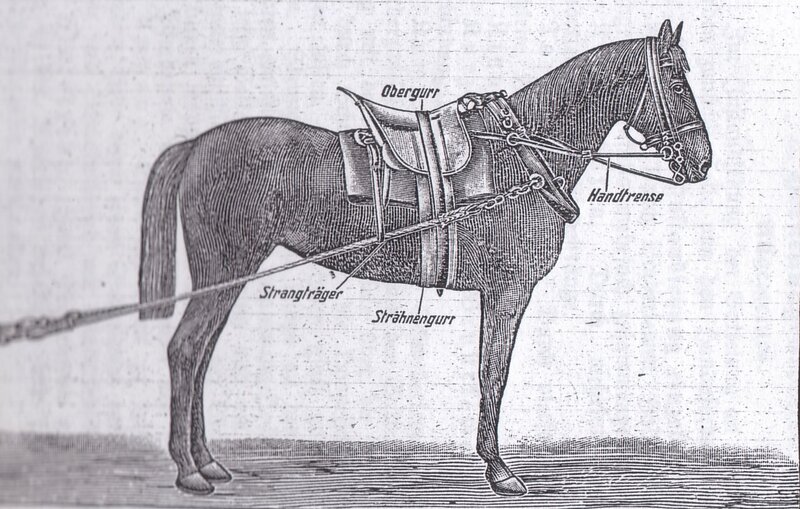 This illustration shows one of six horse saddle and harness rigs which hook up to the limber for towing the field artillery piece or caisson (munitions wagon). 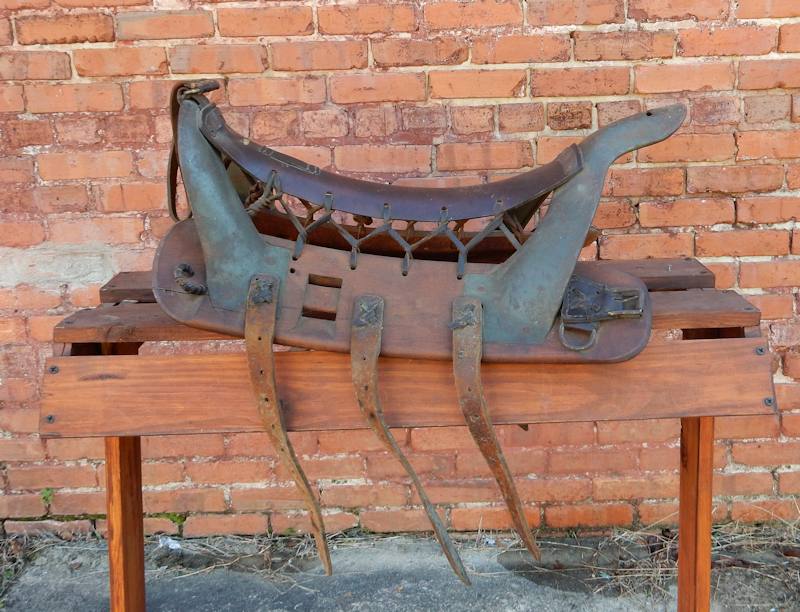 The saddle has a wooden tree unlike the Foot Artillery Saddle. 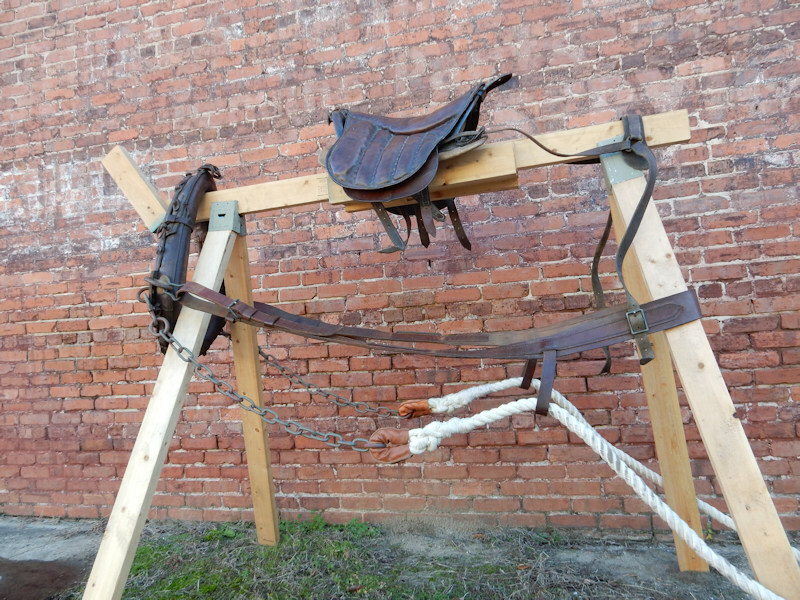 A leather padded seat is set over the wooden saddle tree. 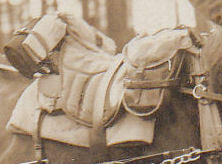 A collar and hames (iron frame) harness fits around the horse's neck. 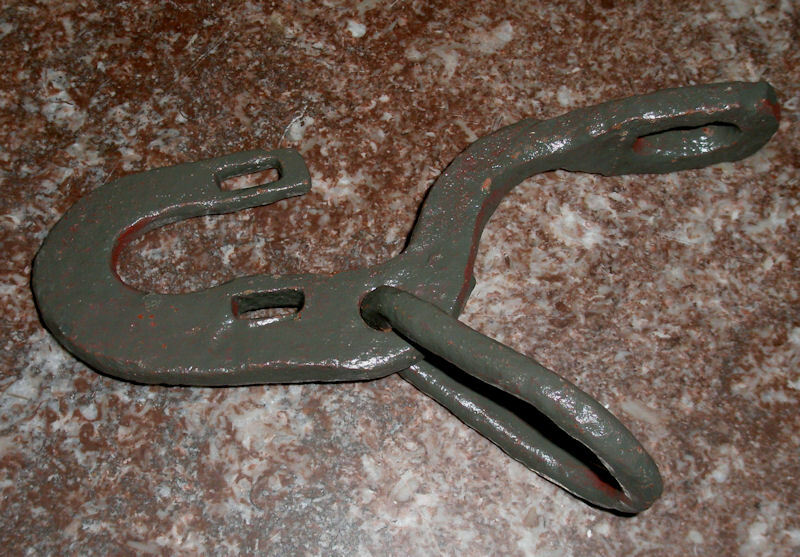 Trace lines hook from the the hames to the limber. 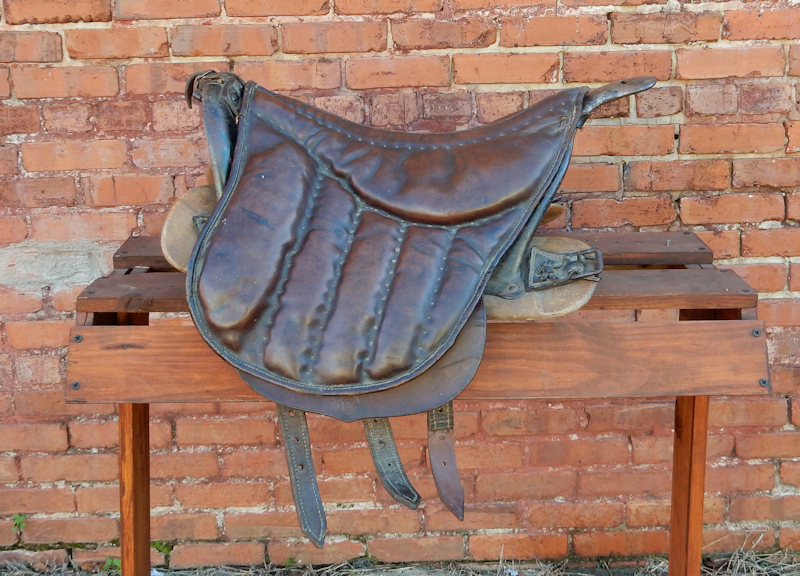 In the Post-War Weimar Period both Field and Foot Artillery adopted the cavalry style saddle. 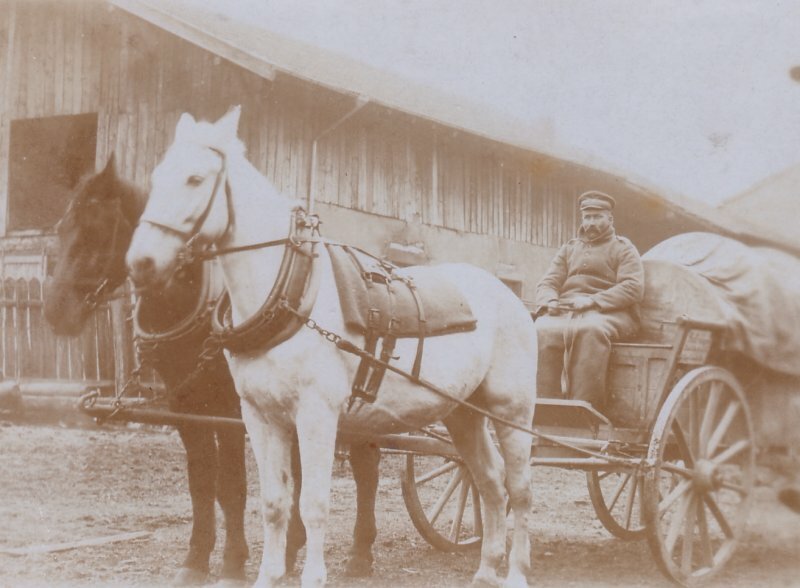 Photograph Below. 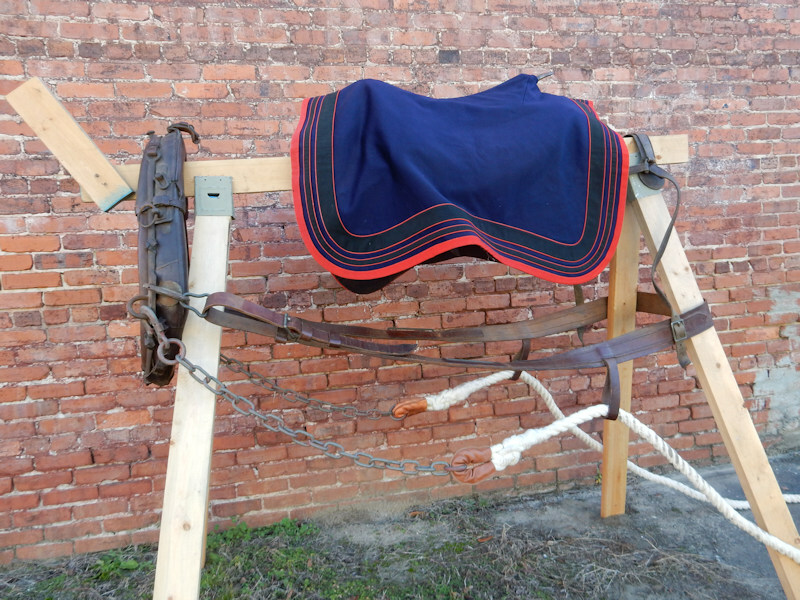 Horse Collar and Driver's Saddle rigged for a rider. 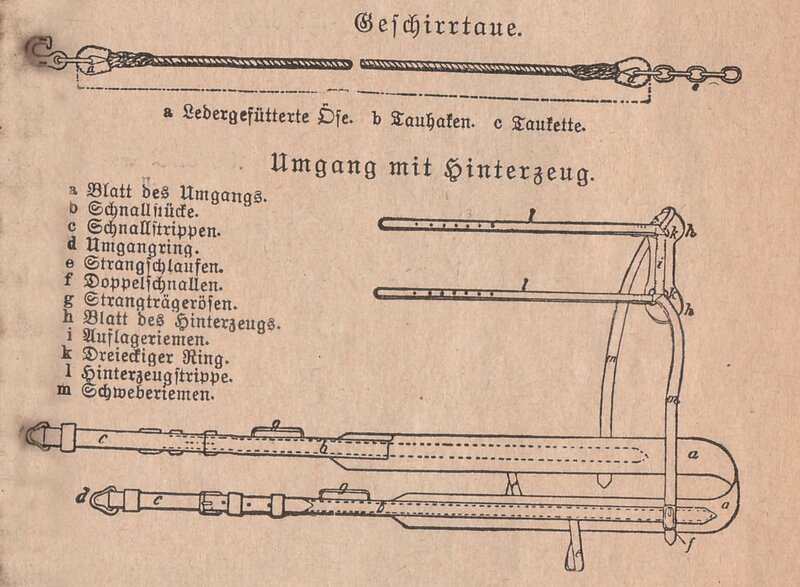 The Saber is the standard Prussian style EM's service saber. Drawing Below. 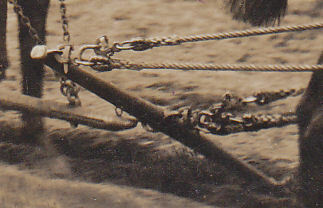 A Rope Trace and Breaching for use with the Field Artillery Saddle. 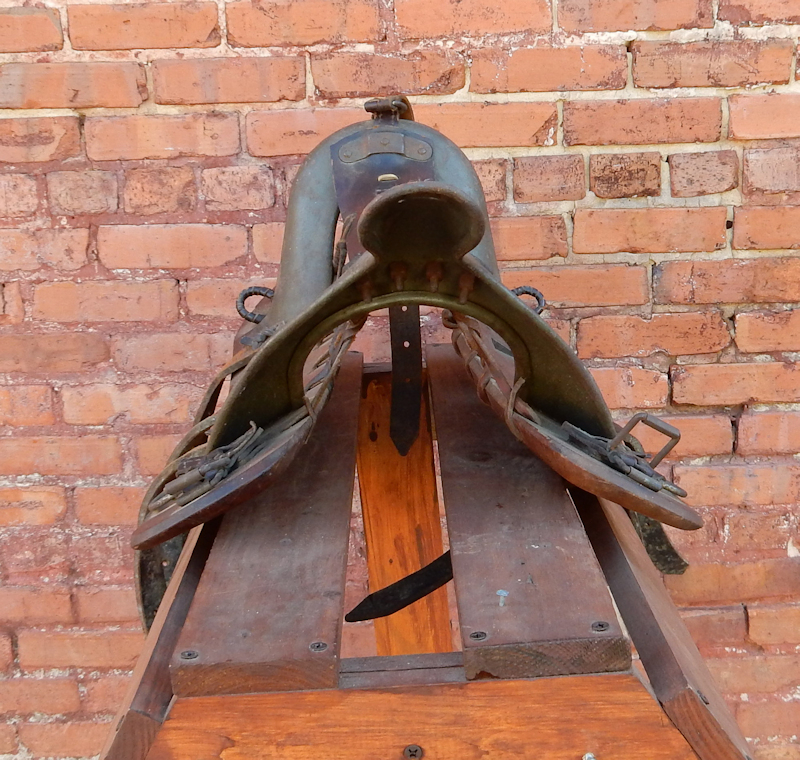 This Breaching was used regularly with the Prussian and Bavarian Field Artillery Saddle. 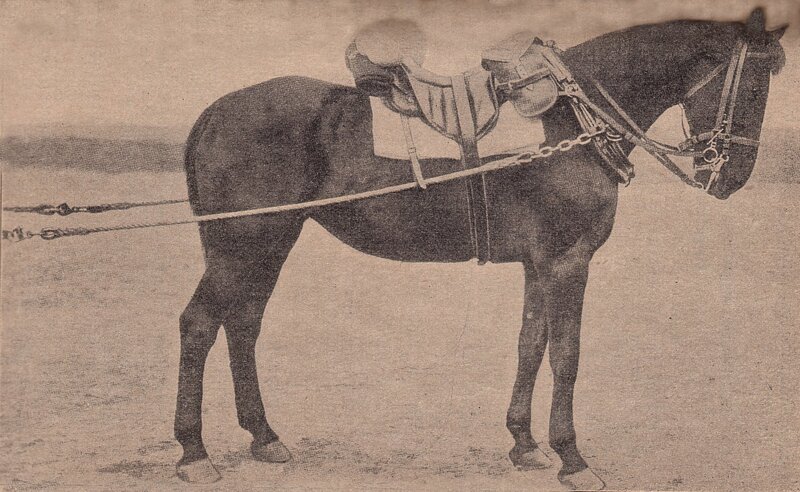 It also appears that this Breaching was sometimes used as a harness without the regular collar. This is illustrated in the lower photograph. 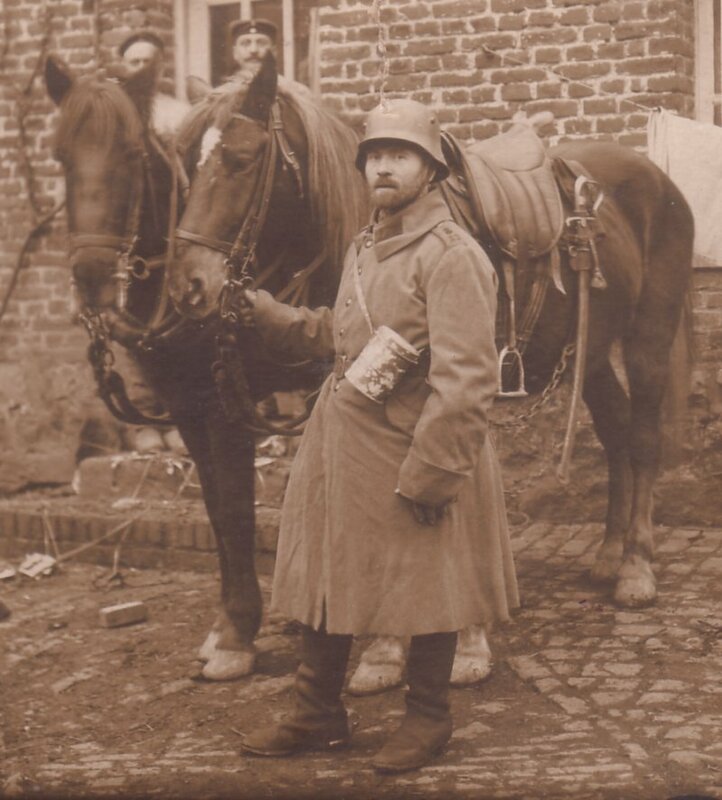 Photograph Below. I do not yet have a good explanation for this one. 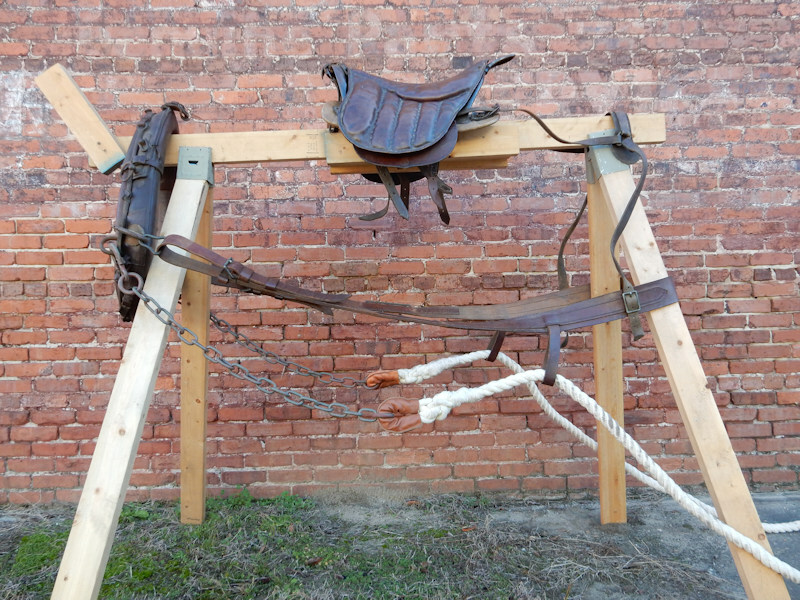 It appears to be the above Breaching set up as a harness with a 7,7cm lFK Limber. 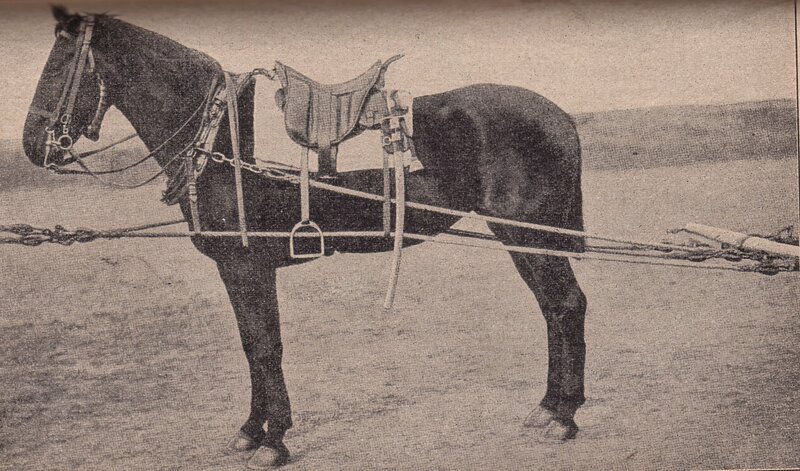 This is the only photograph I have ever seen of this rig. 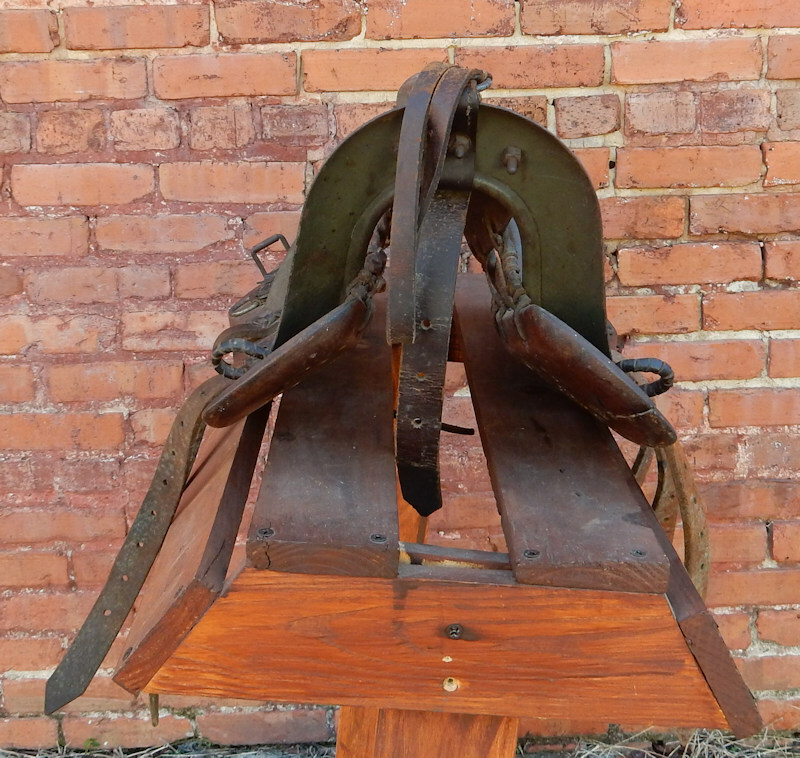 I believe, it may have been an improvised or field expedient way of rigging the limber. 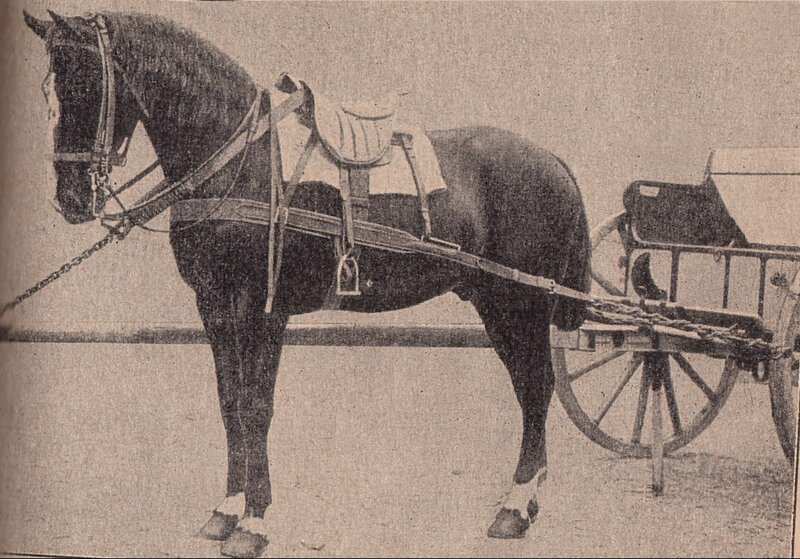 I do not believe the harness was in common service like this. With additional work on translation of the manual, I should have a more definitive answer. 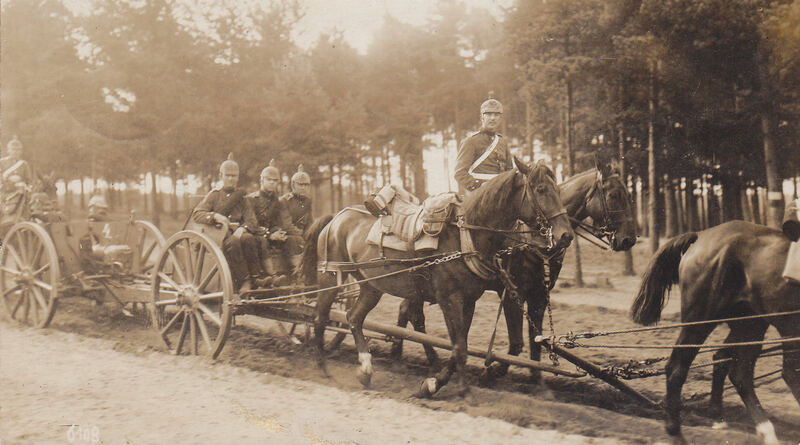 Below: A WW1 Era German Army wagon. 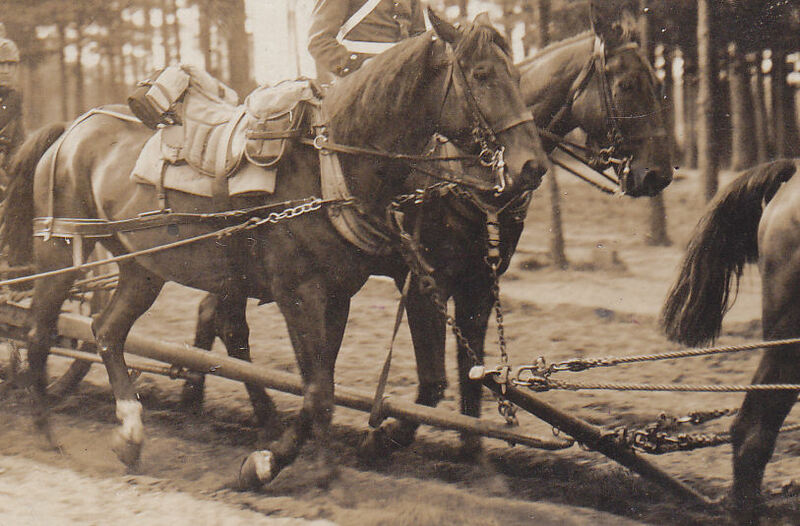 The horse is equipted with a Field Artillery type collar. 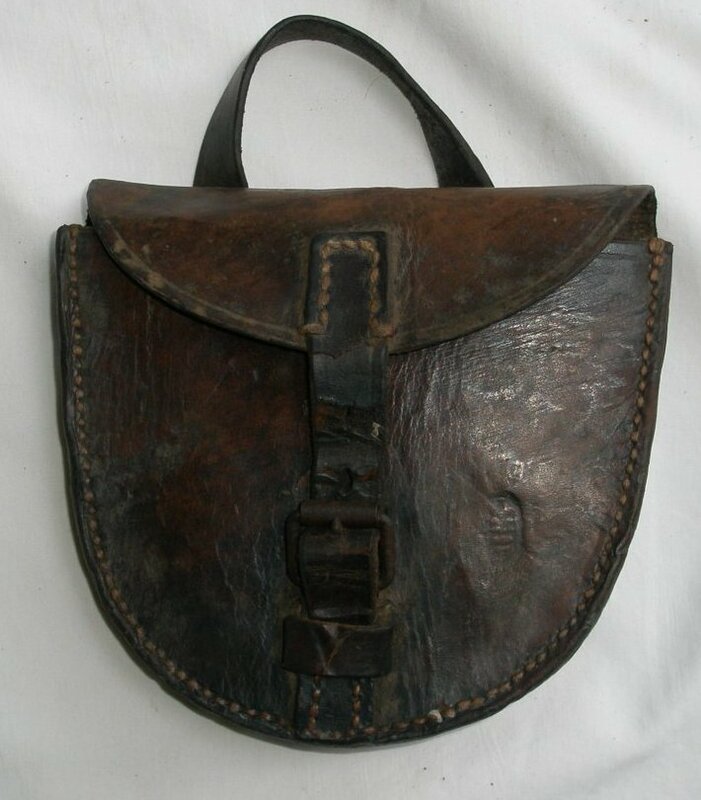 All images, research, and text are sole property of Ralph Lovett.